I’ve been incredibly intrigued by a real estate website and service launched on Tuesday called Opendoor. It seeks to automate the entire home buying and selling process by purchasing your current home from you and selling you a newly renovated one. Here’s how Opendoor works. You start the process by giving the Opendoor website your home’s address. Opendoor uses a special algorithm to estimate the value of your home and generate a fair offer in minutes. If you choose to proceed, Opendoor will arrange for a home inspection to come up with a final price, which the company itself will pay to buy your home from you. You’re responsible for paying a 5.5% sellers fee (includes realtor commissions), a ~1.5% market risk fee, a ~2% maintenance cost fee and the cost of needed repairs to your home. The company has been operating for a few months in the Phoenix, Arizona market as a test, earning decent reviews. “They were so great to work with, more than any other company I’ve ever bought and sold with,” Linda Walden, an Opendoor customer and real estate broker, told Fortune. Walden further praised the quality of the renovations of the home she purchased through the service, and notes she wound up paying its full asking price, which she says was fair. Now, I’m not quite sure I’d use Opendoor to sell my own condo – I like performing needed upgrades and repairs myself to maximize my home value. But when it does come time to sell, I’ll definitely give Opendoor the opportunity to make me an offer if its available in my area. It’s always good to have options, and if the offer makes financial sense, then it makes financial sense. For now, Opendoor is available as a service to those in the Phoenix, Arizona market. The company plans to expand the service to Portland and Dallas by the end of the year. You can learn more about the company’s buying and selling process by visiting opendoor.com. 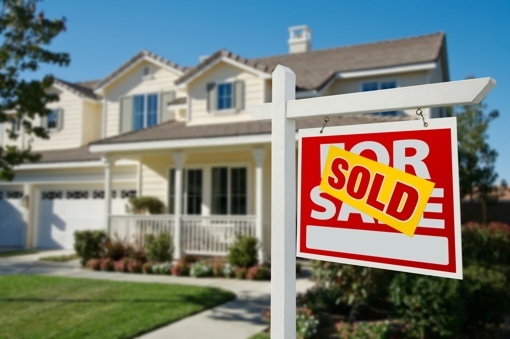 Opendoor offered us an amount comparable to a few offers we received on the market. We decided to go with opendoor. The day before we were to close, they dropped their offer by 7k and told us we either sign the addendum or the contract is void. Of course we didn’t sign. However, because it was the day before closing, we had already moved. I’ve heard better reviews but, I don’t know… Good luck. Part of their proprietary algorithm seems to be a penalty for not accepting their offer. The initial offer I requested out of curiosity, and the number price was actually fair, but I disagreed with their market risk percentage (4.5%). So I talked to the Openview agent, forwarded a dozen pictures to show the house was ready (actually planning to list in the next few days) to see if the offer would increase, or the market risk would go down. The second offer came back, $6k less on the offer and market risk raised to 5% (this was inside of 2 days). Fast forward, my house has been on the market a few weeks, and I noticed that my estimated value on Zillow had gone up by about $20k from when we had listed based on comps. Since Opendoor’s offer was pretty close to what Zillow had estimated initially, I figured if their offer scaled with Zillow, then even with their ‘market risk’ percentage, it was actually within the range of what I’d consider an acceptable offer. So I submitted for an offer again. (This was a Saturday). I waited and hadn’t heard anything by Monday morning, so I submitted again. Finally, today, I received two offers, 6 hours apart. Each was about $6k less than the one before, and each had about .5% increase in market risk, so despite the market value improving, their offer decreased by about $18k, and market risk went from a high 4.5% to 6%. Dropping $6k in value and 0.5% increase in Market Risk within 6 hours. So if you get an offer, and are on the fence at first, just know that if you come back later, they’re going to take advantage of your desperation.